Thinking back to my own very short gliding career, I recalled how one day during an aero-tow my instructor demonstrated 'low tow'. For the benefit of those who have never done any gliding, low tow is when the glider pilot flies behind the tug, but below the prop-wash of the towing aircraft. After we landed, my instructor was called away and I didn't get the opportunity to discuss low tow with him and find out more about it. Clearly, low tow must cause the tail of the towing aircraft to be pulled downwards and presumably the tug pilot must then trim hard nose-down. This raises two questions. First of all, why would a glider pilot use 'low-tow' in preference to a direct astern towing position? In other words, what is low-tow useful for? Secondly, when the glider casts off from a low tow, presumably the tug pilot has to be quick on the trimmer to prevent the tug from nosing down into a dive. Perhaps you can enlighten me. Mary will correct me if I'm wrong but the main reason low tow is taught afaik is for cablerelease malfunctions. If the gliderpilot is unable to release the tow cable he will signal this to the towplane and assume low tow position. This will enable the tow pilot to take the tow combination back to the airfield and land in the safest way possible. This enables the glider to land first, at which point the tow pilot can cut or release the cable and land ahead or go around. BDM - not in the UK. Why make it so complicated? 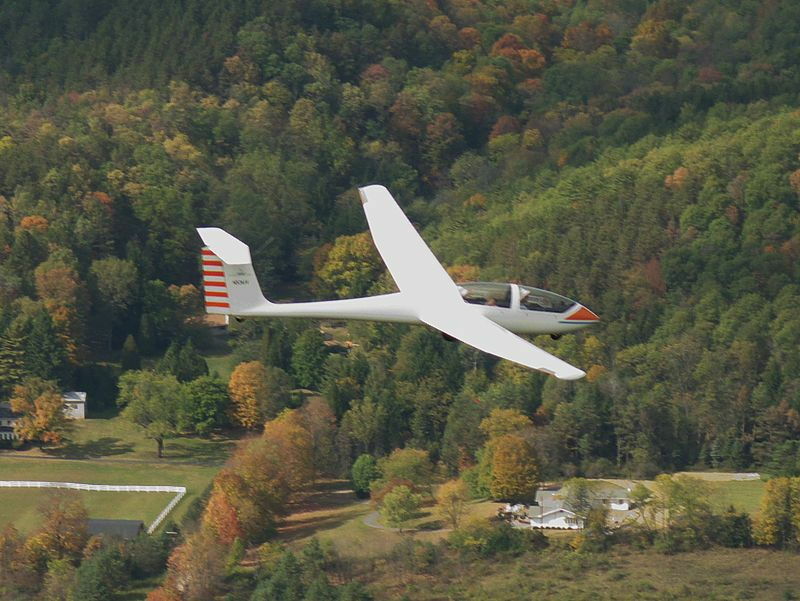 Why not tow the glider to be within easy glide range and with the glider above the slip stream have the tug release the rope and let the glider land with the rope attached? Jim59. Correct. I have never heard of any other procedure in the UK. Interesting! I was not aware the procedure was that different in the UK. In Belgium the low tow and combined landing are the official procedure when the glider cannot release. Though defintiely more complicated, the benefit is not having to land your glider with 60m of rope attached adding to drag and increasing the risk of the rope getting caught on obstacles. I fly at a field surrounded by high trees, so that makes sense to me. Thanks jim59 and 3wheels for teachin me something I did not know about gliding in the UK! So is low tow taught to students on your end just to train piloting skills in aerotow like 'boxing the wake' etc.? If the gliderpilot is unable to release the tow cable he will signal this to the tug and assume low tow position. This will enable the tow pilot to take the tow combination back to the airfield and land in the safest way possible. In Australia we used to be taught this (landing on tow) during ab-initio but it was discontinued as the training risk was perceived to be more than the risk of it actually being needed - it was quite difficult to do! It's a lot easier for the tug to release from high tow ("abnormal tow" to us!) and land with the rope dangling. I believe that the reason we use low-tow downunder (and almost nowhere else, surprisingly) is that we had a double (triple?) fatality after the glider got too high and neither tug nor glider could release .. the low tow position gives both parties more opportunity to recognise the glider getting out of station and release in time. Interestingly enough, after 30 years of towing in both low & high tow I find it is generally easier to teach in low tow as getting out of station is visually much more obvious. And to contradict another comment made, my experience here in Australia has been that it's better to go to high tow for a long retrieve as it doesn't require as much effort, and it's also more efficient. Interesting discussions, I have taught both low tow and high tow in a number of countries and used them both for valid reasons. I'm aware of the incident Australia had, but countries across the world had tug 'upsets' and more recently there was a fatal accident low down in low tow which has caused a rethink at one of the bigger Australian clubs. Most clubs I’ve been to use weak links at both ends of the rope (about 20% stronger at the tug end), so add release mechanisms at each end and you’re pretty well covered. Exception being sites where the immediate land-out possibilities are bad enough that you’d rather overstress the structures than be exposed to a certain crash. Go For It Jazzer 83! Soaring is one of the more fulfilling events of a lifetime! From learning to "fly the box" behind one's tow plane to befriending and mimicking airborne hawks who silently and selflessly show the locations of the best thermals, the experience is quite literally breathtaking. One becomes united with the sky; there is only the comforting sound of the relative wind and the enduring hope that the variometer (vertical speed indicator) reads in positive territory. This fiberglass beauty is a sports car of the air! One reclines in a nearly supine position; the streamlined canopy offers extraordinary views and the craft features a 36.5::1 glide ratio with a top speed of 160 m.p.h. Aerobatics are enjoyable, though one must get used to the extreme flexion of the high aspect ratio wings. Hello Broomstick Pilot, and the rest....I always understood that Australians did things backwards, like the low tow. Which calls for an interesting maneuver at the start of your takeoff; the glider would much rather follow the tug above the slipstream. To assume the low tow you have to dive through the wake. Fancy maneuvers low down have often led to bigger problems, so nearly all the tugging I ever did was UK regulation, above the wake, but RULE NUMBER ONE for the glider pilot was NEVER PULL UP THE TAIL OF THE TUG. Also, it is much easier to kill a tug pilot than a winch driver! Only once in my tugging career did a glider vanish on tow, I couldn't see him in the tug mirrors, so eventually figured he had pulled off gently, so I gently began a descent, and of course it was still there on the rope! he gave up just as it was getting interesting. Another time at Shenington, a K8 was hooked on for an airtow....that is, I assumed it had been hooked on..... Onlookers were greatly amused to watch me take off, glider left behind! I couldn't be quite sure that being a light weight K8 it wasn't still following....so towed the empty rope to 2,000' . As far as dumping the rope, farmers tend to get irritated if you leave ropes lying around on the crops. Hi Mary, yep the transition during the initial climb is an extra thing to manage I guess, but in my years of instructing it's never caused big issues and in fact can be virtually avoided by holding off the nose up rotation until the glider is in the low tow position. I guess ground effect helps cancel out the rolling effect. 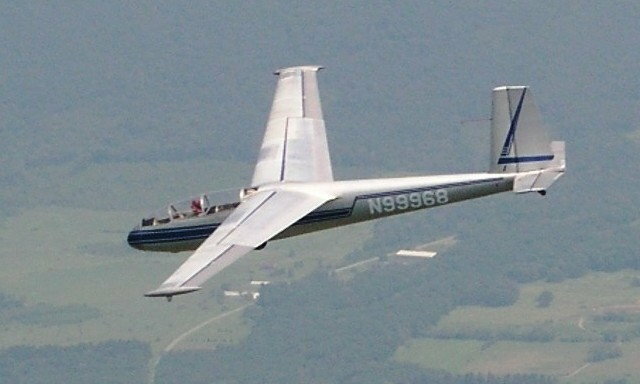 Thanks Glider Pilots, one and all, for some EXTREMELY interesting responses to my question on low-tow. It's clearly a much bigger subject than I thought it was. Stumbled across this thread and it could have been written for me! I am also 35 and think I would love to learn to glide. I have been up once before at Dunstable Downs - my dad was given a birthday present of a gliding experience there and the instructor very kindly took me up for a quick flight at the very end of the day. I loved it! I've been looking for a hobby to occupy my weekends that doesn't involve drinking and does involve me learning something new and I remembered how much I enjoyed my first flight. I have booked a one day course at LGC for 1st Dec (earliest they could do) and am very much looking forward to it. That said, I am wondering what the consensus is on learning to glide at either LGC or Booker - both are similar distances from me (Booker a bit closer, but not much in it), but from my reading so far it sounds like they are quite different. Interested to hear the views of those who are familiar with both! Secondly, assuming I do wish to pursue this after the one day course (likely I think), is it realistic to go solo within a year or so assuming I can only get up there probably one or two weekends each month? Perfectly reasonable to get to solo standard in that time frame - probably much sooner if you commit your weekends for a while. The key to making good progress is to try and string a few weekends in decent weather together so that you don't regress too much between sessions. Disclaimer: gliding often can & often does involve drinking .. only in the clubhouse afterwards though! Henwood, I began gliding at Booker in 1983 at the age of 50....and have since flown over 3,000 hours in this and that, in the US, UK, Russia, and France and Spain! Grand for sightseeing. Booker was very busy in those days, and helicopters don't seem to mix very well with winch cables! which is the cheapest way of throwing a glider into the air. Dunstable has always been a gliding site, they are wise, and friendly. My club at Shenington would also be worth a visit, though not so . busy in the winter season, we are active on weekends with decent weather. Dont try flying in fog, rain, or wind over 15 mph! When you decide to learn to fly, you will make a very intense study of the weather. My longest flight in a Pegasus glider, no engine at all at all, was 8 hours and 53 minutes, in the UK, in a competition; the task, from Husbands Bosworth was 500 kilometers. Both Dunstable and Shenington are located on hills, which if the wind is from the NW or West, work fairly well, providing rising air even in winter. Beginning on longer days in March, we fly 7 days a week, weather permitting. In summer weather, the strongest lift is found under cumulus clouds, which form over towns or hot fields facing the sun. Do you have family? teenagers learn to fly very quickly! Dont try flying in fog, rain, or wind over 15 mph! I agree about fog & rain, but wind over 15mph? Sites like PMK regularly fly in quite a bit more wind, how much more depending on the direction. London Gliding Club (Dunstable) and Booker are both excellent operations but others are available in your region. There are gliding clubs such as LGC, Booker and Lasham which are 7 day week operations, usually with paid staff. Their costs tend to be at the higher end of the range but they can also offer "turn up, fly, and leave" type services. They are businesses more than clubs. The alternatives are weekend-only clubs most of which are run with volunteer crews. These tend to be much cheaper but greater time inputs from all members are expected. The ambience tends to be friendlier but you are pretty much expected to be there for the day as everyone has to muck in to make it work. Such an operation is Oxford Gliding Club at Weston on the Green ( winch launching only). It's another 25 minutes up the M40 from Booker. You seem to be talking about weekends only, so that kind of scene might suit, especially if finances are limited. Your choice, make some enquiries on websites etc re costs.